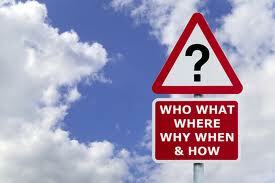 Southern Writers - Suite T: What-Why-When-Who-Where-How? Do you know your characters in your story? Do you really know your characters–everything about them? If you don’t here is a way to learn more about them. Interview them! Yes, interview your characters. Step out of the role of creator/writer and step into the role of your reader. What would your reader want to know about your main character? You want your readers to bond with your main character. You want them to feel all the emotions he/she does. You want them to be on the side of your character, pulling for them. It is important for you to know everything about your main character in order to let your readers in on what they need to know about your character as the story progresses. It keeps them turning the pages. They become fans. They will buy other books you write. Why? Because they will know your characters are worth knowing–they can relate to them. The best way for you to know your character is to interview them. If you were going to interview someone you would have a short bio that consist of their name, a few things they had accomplished, whether they work or stay at home. Maybe where they’re from or where they live now. But this information would be short like on a 3x5 card. Your job as the interviewer is to find out everything you can about them. 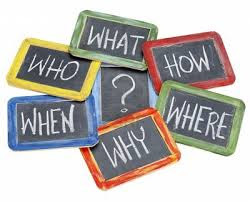 Remember the “Who, What, Why, When, Where and How” questions? Bring these back into play. Now sit down, make a list of questions, the more the better, and ask your character. Examples: Where were you born? Where do you live now? How did you get from where you were born to where you live now? What do you like? What do you not like? What color is your hair and eyes? What do you do? Where do you work? You get the gest. Just ask regular questions. By choosing this process, you get to know your character. It will open up more facets for your reader to get to know your character. Here are a few more words that are good to use when interviewing your character… “Are, If, Would”. I am sure you could think of some more. Do this with your characters, get to know everything you can and you will deepen your characters role in the story, you will also find your story is deeper, more meaningful. Labels: . Suite T, Editor-in-Chief for Southern Writers Magazine, Susan Reichert, What-Why-When-Who-Where-How?